If you want to be sure your drinking water is safe and pure, we recommend the ZeroWater ZP-010 10-cup water pitcher or the Culligan FM-15A faucet filter. We also recommend countertop, reverse osmosis, and under-sink water filers from Home Master, iSpring and Multipure. If the absolute purest water you can get from a pitcher is your top priority, the ZeroWater ZP-010 10-cup is a top choice. It's NSF certified to reduce lead, and, in testing, removes an impressive amount of both lead and other contaminants, without clogging. The 10-cup capacity is a good fit for a couple or a small family. An included meter measures the amount of dissolved solids in your water, It's a gravity-based filtration system, so is a bit slow, but produces provably pure water. 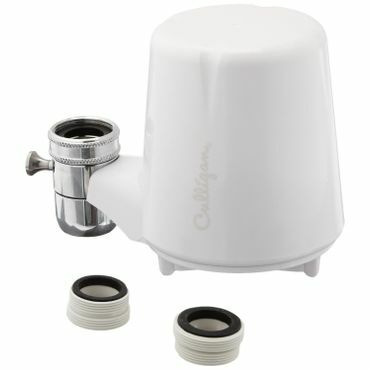 The Culligan Faucet Filter FM-15A is easy to install and convenient to use, reviewers say, automatically turning the filter off when the water stops flowing. In professional tests the 15A removes lead and organic compounds, and owners notice a marked improvement in the taste of their water. This is one of the best values in a water filter, with a low initial cost and low filter costs as well. The most common complaint about this unit is its very slow flow rate. One of the most popular uses of water filters is to remove fluoride from drinking water, but very few water filters outside of reverse osmosis actually do that. 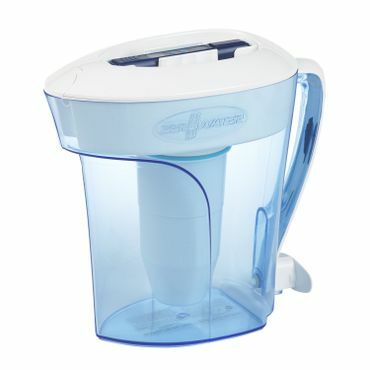 The exception is the Home Master TMJRF2 Jr F2 Counter Top Water Filtration System. The activated alumina filter removes up to 93 percent of fluoride -- as high as that claimed by some reverse osmosis systems. However, unlike RO systems, the Jr F2 does not remove beneficial minerals like calcium and magnesium. 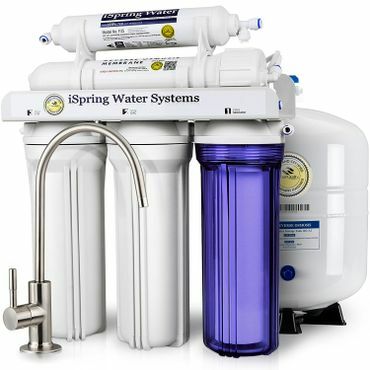 It's not included in any professional roundups, but owners say the iSpring RCC7 Reverse Osmosis Water Filter System is a top performer. 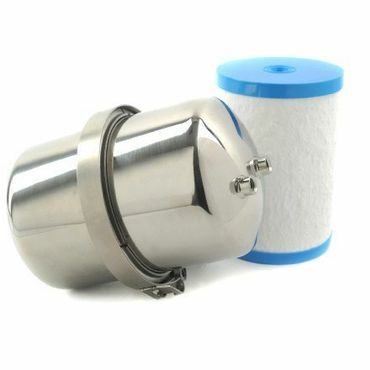 This under-sink filter is easy to install, even for those with little plumbing knowledge. Most importantly, it produces excellent-tasting water and is very affordable compared to similar systems. 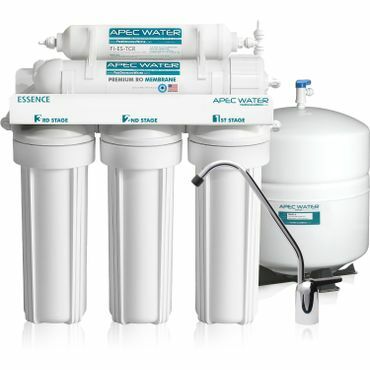 iSpring claims that its 5-stage filtration process removes 1,000+ water contaminants. As expected at this price point, the iSpring gets complaints regarding its plastic construction. Customer service is based in the U.S. and is very responsive. If you don't want, or need, a reverse osmosis water filter, experts and owners are unanimous in their praise of the Multipure Aquaversa MP750SB. In testing, it does an excellent job of removing lead and chloroform. It also has a stronger flow rate and resists clogging better than comparable water filters. The MP750SB is reported as easy to install and use, and owners say the water is clear and refreshing. Optional accessories can attach it to an icemaker or convert it to a countertop model. The water supply in the United States is generally among the safest in the world, but the water quality in some areas is definitely more questionable than in others. Even worse, we're finding out about some of these issues after we've already been drinking what we assumed was safe water for some period of time. If you know your water quality is poor, are not sure about the quality of your water, or just find that you have to hold your nose every time you take a drink, a home water filter may be just the ticket to improving water purity. However, be aware that if your water is really bad, especially if it has high levels of lead, a water filter may not be able to completely remove all contaminants. Still, for most people, one of the following water filters could be all you need. These carafe-style units are the simplest type of water-filtration system. They are filled from the tap, and the water is purified via a filter situated inside the pitcher. In gravity-fed systems it usually takes 10 to 30 minutes to filter the water; although we do include one water pitcher that forces water through the filter. Pitchers are a good choice to filter small amounts of water exclusively for drinking, but they have to be refilled often if you drink a lot of water or have a large family. Easy to install and move (no hole-drilling required), these are attached to the faucet. That means they jut out from the fixture, but do not take up counter space. They also feature diverters that allow you to choose between filtered and tap water. The main drawback to these types of filter is that they can slow the flow rate of your water down to frustrating levels. As the name implies, these units sit on the countertop and filter water as you use it. The filter itself is the countertop part: when you turn on the water and divert it to the filter, it forces the water through a carbon block filter encased in a unit that sits beside the sink. They have their own, dedicated spouts and a diverter valve so that you can switch easily between filtered water and tap water. Countertop water filters can easily be removed and moved around; as with faucet-mounted filters, no drilling is required. This type of filter usually has multi-stage filters to remove more and smaller particulates, as well as chemicals and inorganic compounds, than either of the above two types. They are permanently mounted and may require at least a basic level of do-it-yourself skill to install, since you usually have to drill a hole for the filter faucet. Some give you the option to switch between filtered and unfiltered water, some filter all the water that comes out of the tap. RO systems are also under-sink water filters, but they have ultra-permeable membranes to remove 90 to 99 percent of all contaminants, so they're considered true water purifiers, rather than just water filters. The downsides to RO are that it also removes beneficial chemicals from the water and that it creates waste water: a 3:1 ratio is common. This water is not truly "wasted" in that it goes back into the community water supply, but you still have to pay for the water you discard. There is also some disagreement as to whether it's less healthy to drink water with beneficial minerals like calcium and magnesium removed; some experts say that most Americans get enough minerals and nutrients in their everyday diet to make up for it. Some companies sell RO systems that include a process to add some of those beneficial minerals back in, but those usually add $50 or more to the price. It can be difficult to determine the best water filters. Those that do very well in professional tests often get low ratings from actual users. Part of the problem is that water "taste" is highly subjective. The same filtered water that hundreds of people say is the best they've ever drank may cause an equal number to gag. That's not the water filter's fault, but those unhappy reviewers will bring down even a decent water filter's reviews to sub-dismal levels. We also saw many low ratings because a specific water filter does not filter out contaminants that it was not designed to filter. We've taken a close look at the reasons why a water filter is low-rated; if there are legitimate complaints, such as ongoing durability or performance issues, we take them seriously. If it's because of taste issues (unless there are an overwhelming number of those comments) or because the consumer thought the water filter was supposed to do more than the manufacturer claimed, we discard those complaints. 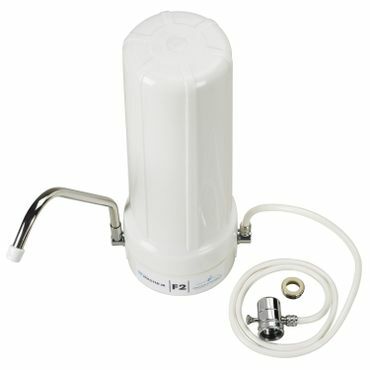 In addition to user reviews, to find the best water filters we looked at expert tests conducted by Consumer Reports, Wirecutter, Your Best Digs and Reviews.com, along with posted results from consumers who tested their own water both before and after installation of a water filter. Owner reviews are also valuable for real-world insight into how easy the water filter was to install, use, and replace the filters on, and how much it cost to maintain. The result of our research is our recommendations for the water filters that will improve the quality of your water, are easy to use and maintain, and that won't cost an arm and a leg in long-term ownership. A moderate to fast flow rate.